Here we are introducing the city ‘Sagara’ near Karnataka. Sagara is a city located in the indian state of Karnataka and it is also a sub divisional and a taluk headquarters. Located in the Western Ghats range, it is known for its proximity to Jog Falls and to the historical places of Ikkeri, Keladi and Varadamoola. The river Varada originates near Sagara. Sagara subdivision consists of Sagara, Soraba, Hosanagara and Shikaripur taluks. 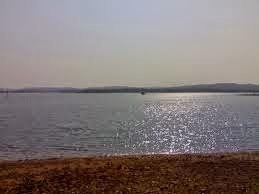 Sagara derives its name from Sadashiva Sagar, which is a lake. Sadashiva Nayaka, ruler of Keladi dynasty built a lake in betweenKeladi and Ikkeri. Sadashiva Sagar is now called Ganapathi Kere (Ganapathi Lake). It is a subdivisional headquarters headed by a subdivisional magistrate. From the state capital Bangalore, Sagara can be reached by road through NH-206. (via Tumkur, Arsikere, Kadur, Tarikere,and Shivamogga). Sagara is around 360 km (224 mi) by road from Bangalore. Sagara is well connected by road with Shimoga, Bangalore, Mangalore, Hubli, Haveri, Sirsi, Shikaripur, Soraba, Hirekerur, Hanagal, Karwar, Belgaum, Ranebennur, Honnali, Davanagere, Hosanagar, Udupi, Honnavar, Bhatkal, and other major cities. Sagara has its own railway station. The train station is known as Sagar Jambagaru and there are trains that connect Sagara with Bangalore and Mysore. The nearest airport is Hubli Airport, which is about 159 km from Sagara. 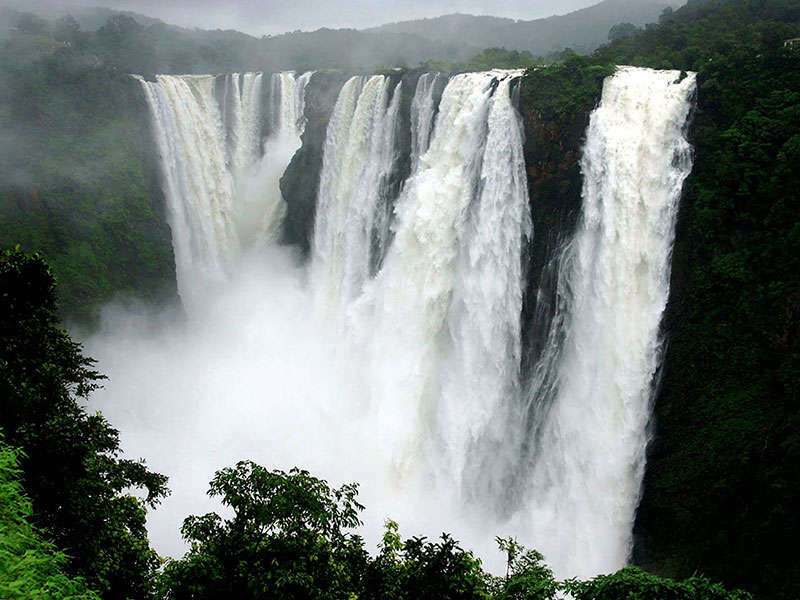 The world famous Jog Falls is in Sagar taluk. It is approximately 30 km by National Highway 206. Holebaagilu is situated on the banks of the Sharavati River about 30 km from Sagar. One has to take a diversion from B. H. Road towards Ikkeri Road to get there. 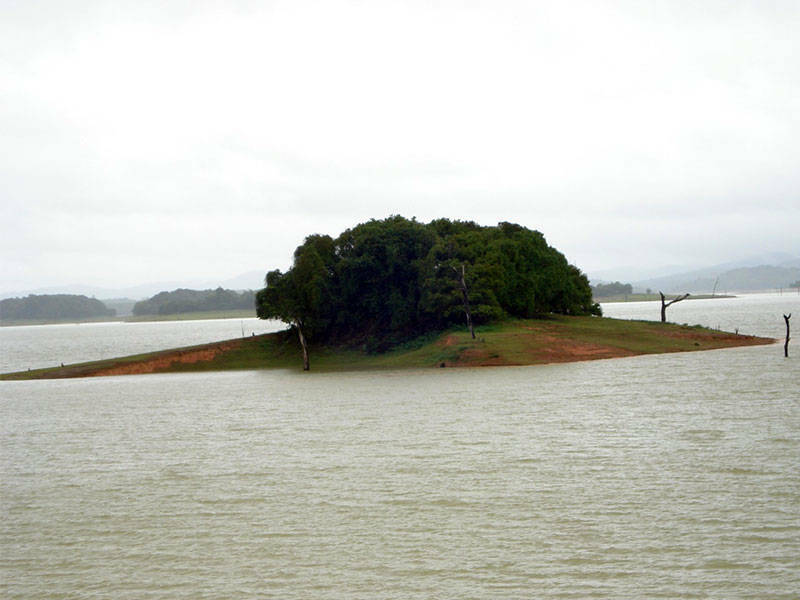 The Sharavati backwaters of Linganamakki dam has submerged acres of land. It is a place of natural beauty. It is in Kolur Grama Panchayat limits. 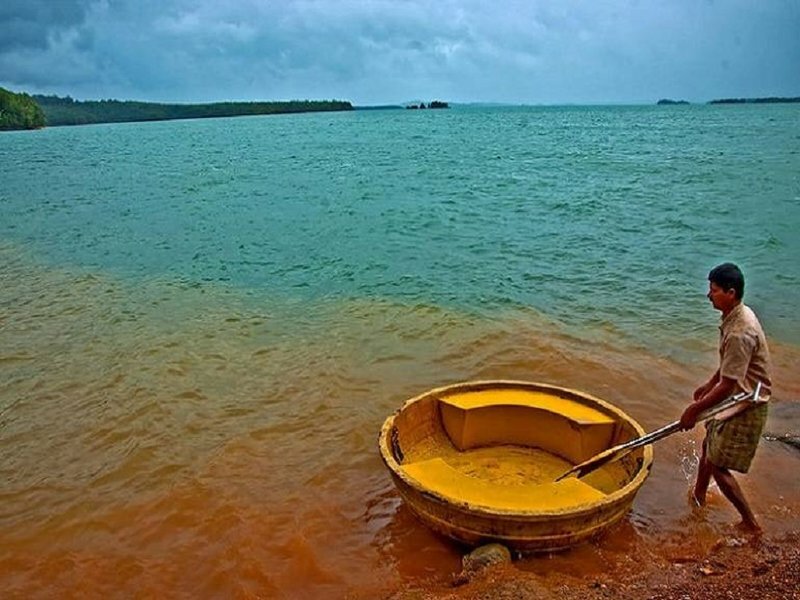 One has to take a flatboat to get across the backwaters to reach the other side where Sigandooru is. Sharavati Wildlife Sanctuary is in Sagar Taluk, Karnataka. It is 350 km from Bangalore. 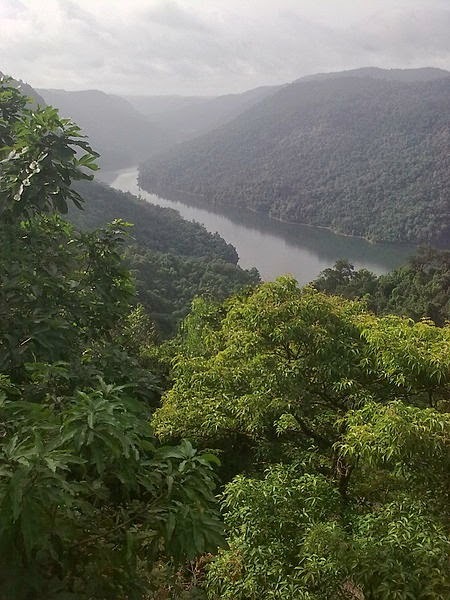 Located near Jog Falls, the sanctuary covers the Sharavati Valley Region, near the western border of Karnataka. It is spread over an area of 431 km. The sanctuary is nourished by the Sharavati River. 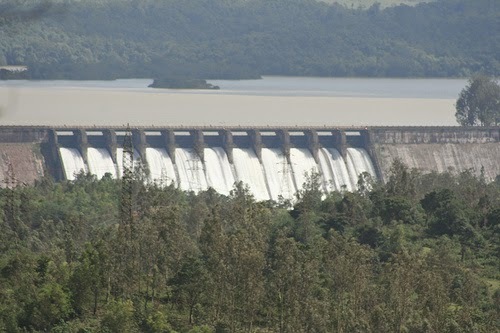 Linganamakki reservoir spread over an area of 128.7 km is a part of this sanctuary. Dabbe Falls is located near Hosagadde in Sagar taluk. On the road from Sagara to Bhatkal, Hosagadde lies about 20 km from the town of Kargal. 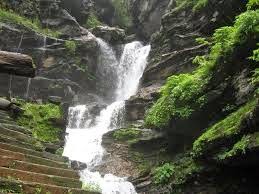 From Hosagadde a walk of 6–8 km into the forest leads to Dabbe Falls. The Marikamba Temple is located in Sagara City, in the Indian state of Karnataka. It features the image of the goddess Marikamba, a form of Durga or Parvati. The temple was built in the center of the city during the reign of Venkatappa Nayak who ruled over Keladi and Ikkeri kingdom during the 16th century. Marikamba was the family deity of the Nayaka dynasty. A Shiva temple of historical importance is located 6 km from the city. One has to take a diversion at Sorab Road. There is a museum containing old manuscripts written during the Keladi dynasty. Sigandur is a small village of Sagar taluk, Shimoga district, Karnataka, India. The village is surrounded by the Sharavathi River. The main attraction of Sigandur is Chowdeshwari Temple. Sigandur is about 40 km from its taluk headquarters, Sagara town. Sigandur was cut off from Sagar once reservoir on Sharavathi River was constructed. 2 barges provide connectivity across the water. This place is 6 km from the city where one has to take a diversion from Jog Road soon after the end of the city limits. It is famous for the samadhi of His Holiness Sri Sridhara Swami who was among the great saints of 20th century. 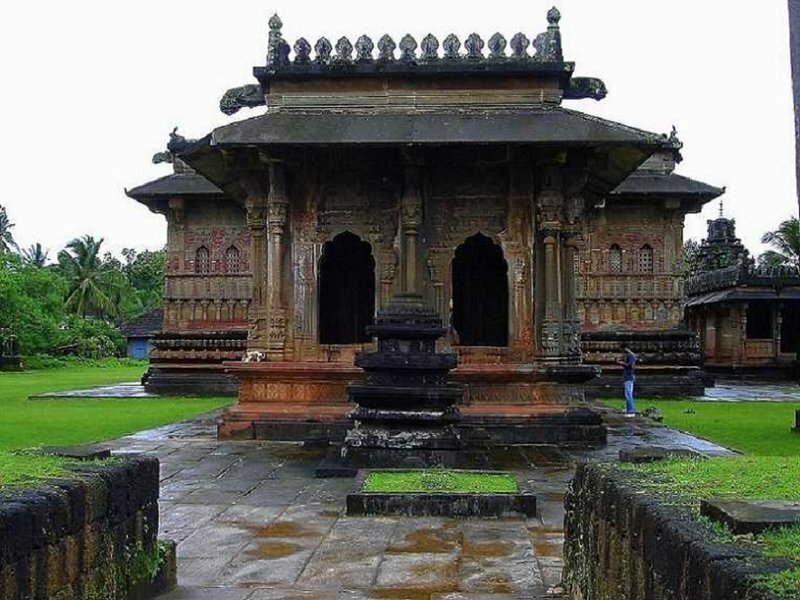 This place is of historic importance due to the presence of a temple dedicated to Lord Shiva.Ikkeri Temple is situated in Sagara taluk about 6 km to the south of Sagara. The word Ikkeri in Kannada means "Two Streets". It was, from about 1560 to 1640 AD, the capital of the Keladi chiefs, afterwards removed to Bednur. Ikkeri continued, however to be the nominal capital, the Rajas were called by its name, and the coins were called Ikkeri Pagodas and Fanams, although, if fact, the mint was removed. This is another historically important place with a temple dedicated to Lord Shiva. It is 8 km from the city and one has to travel along Sorab Road for 6 km and take a diversion. Varadamoola is 6 km from Sagara City. River Varada originates at this place. Varada flows through the town of Banavasi before joining Tungabhadra. This is a place where had temples of Shani Lord & Laxminarayana Temple.. Special is, in Shanashewara Temple God will come on Human body.